Chirality of the monomeric residues controls and determines the prevalent folding of small oligopeptides (from di- to tetramers) composed of the 2-aminocyclobutane-1-carboxylic acid (ACBA) derivatives with the same or different absolute and relative configuration. The cis-form of the monomeric ACBA gives rise to two conformers, namely Z6 and Z8, while the trans-form manifests uniquely as an H8 structure. By combining these subunits in oligo- and polypeptides, their local structural preference remains thus allowing the rational design of new short foldamers. 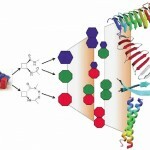 A lego-type molecular architecture evolves; the overall looking depends only on the conformational properties of the structural building units. 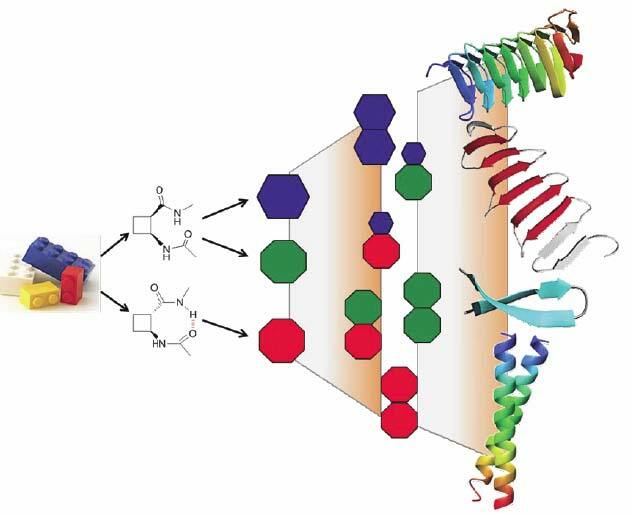 A versatile and efficient method to predict the backbone folds of designed cyclobutane beta-peptides is based on QM calculations. 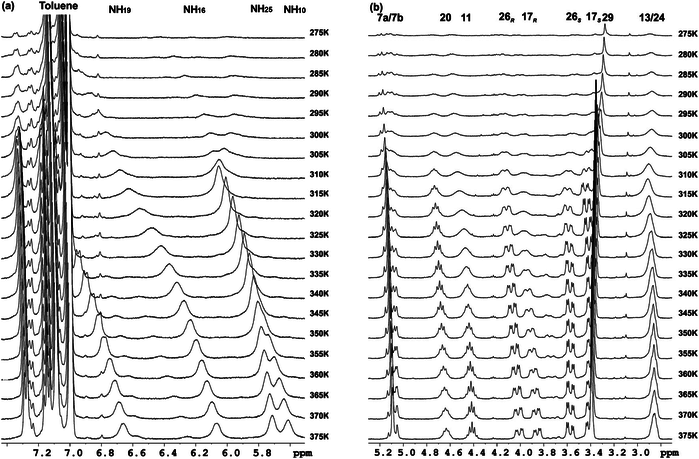 Predictions are corroborated by high-resolution NMR studies on selected stereoisomers most of them being new foldamers that have been synthesized and characterized for the first time. Thus, the chiral expression of monomeric building units results in the defined secondary structures of small oligomers. As result of this study, a new set of chirality controlled foldamers are provided to probe as biocompatible biopolymers.